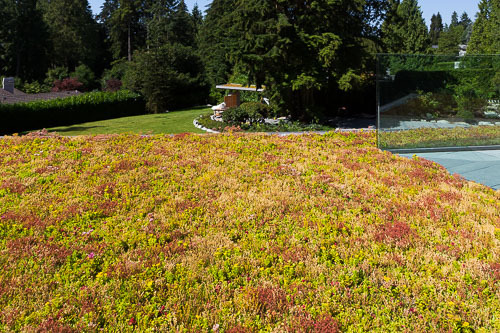 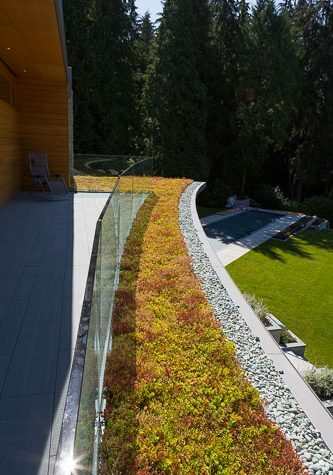 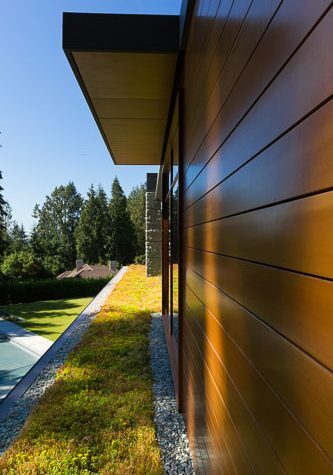 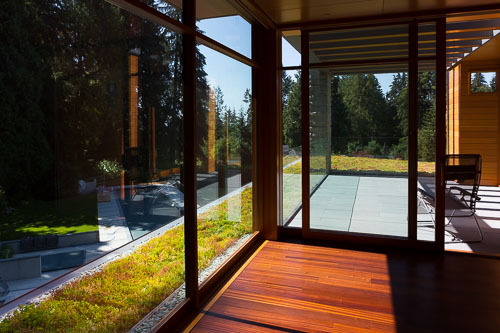 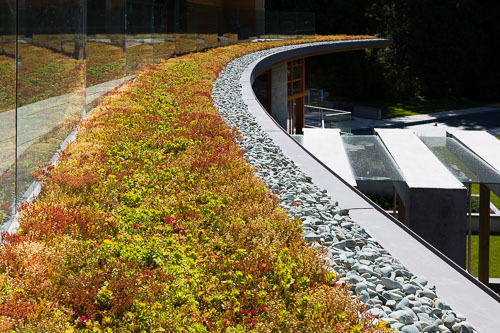 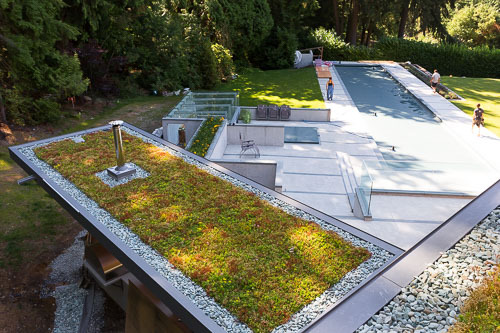 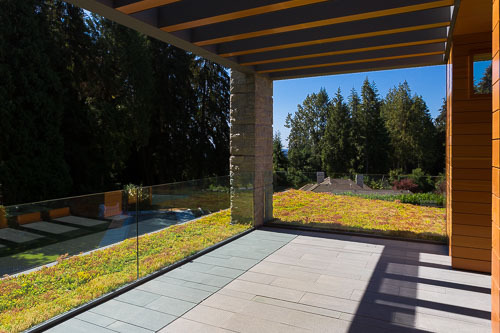 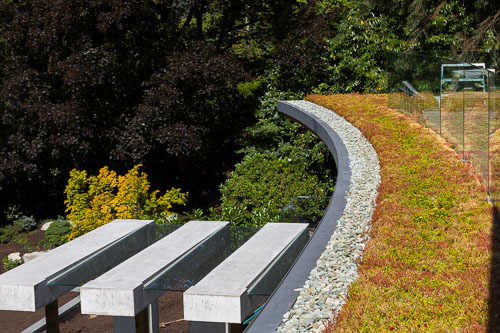 A lightweight, low maintenance vegetated system completes this modern home. 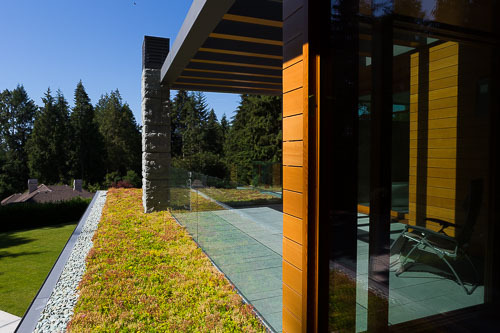 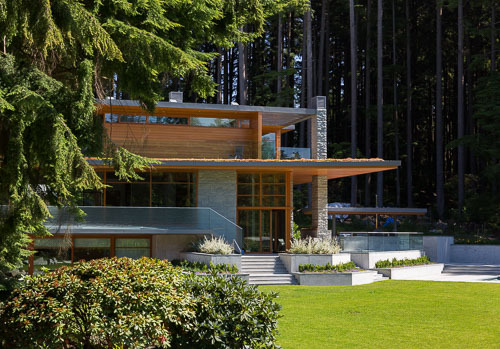 An example of architectural design that blends in with its idyllic natural setting. 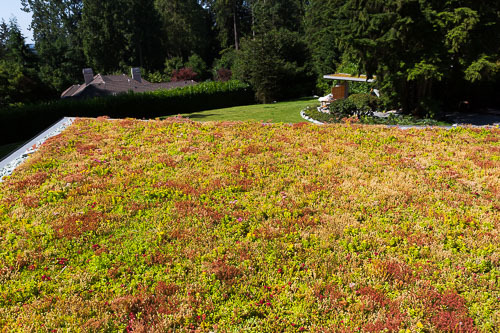 Functionally, it also helps cool the building and doubles the lifespan of the roofing membrane, protecting it from harmful UV and other natural elements.